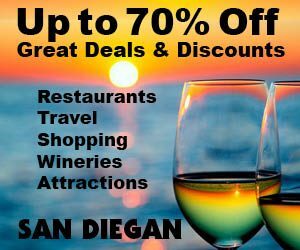 Birch Aquarium (22) is the public outreach center for world-renowned Scripps Institution of Oceanography, where visitors of all ages can explore more than 3,000 colorful fish and invertebrates as well as cutting-edge ocean- and earth-science research. This is a must-see attraction, with spectacular views of the Pacific Ocean and La Jolla. The aquarium boasts more than 60 habitats of marine life, including seahorses, sharks, jellyfish and more, and features daily feeding presentations. Admission for adults ($17); seniors 60 and older ($13); college students with student ID ($12); teens 13-17 ($14) and children 3–12 ($12.50); children under 3 are free. 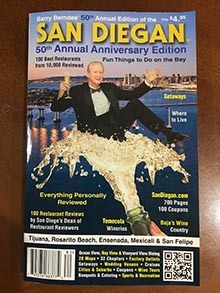 For $2 off admission per person, which is good for up to six people, use the Birch Aquarium coupon in the print version of the SAN DIEGAN or here online. Generations of Americans have discovered the ocean world through the exhibits and educational programs at the Birch aquarium museum; Today, more than 400,000 people visit Birch Aquarium at Scripps each year. Current Exhibits Include: Boundless Energy, There’s Something About Seahorses, Feeling the Heat: The Climate Challenge, Kelp Forest: Watch LIVE NOW, Shark Reef & Hall of Fishes, Coral Displays, Living Tide Pools, Whales: Voices in the Sea interactive. Admission for adults ($14); seniors 60 and older ($10); college students with student ID ($10); and children 3-17 ($9.50); children under 3 are free. Use their discount coupon in this book for $2 off admission! Birch Aquarium at Scripps is also an aquarium without walls. It’s unusual underwater displays enable guests to enjoy each exhibit. The aquarium disseminates various programs locally and throughout the nation through publications, curricula, multimedia presentations, traveling exhibits, educational initiatives, outreach programs, and teacher training designed to stimulate curiosity and critical thinking about the natural world. Since its opening, the Birch Aquarium has hosted nearly 5 million visitors from across the United States and around the world. Visitors have included U.S. presidents and other high-ranking government officials, royalty, and Hollywood superstars. The Birch Aquarium remains one of San Diego’s top cultural destinations. The Birch Aquarium, which is high on a hill overlooking the majestic Pacific Ocean is also a very popular location for weddings, receptions, banquets, and corporate events. The stunning Birch Aquarium offers a unique glimpse of the underwater world as well as breathtaking ocean views – both inside and out! Enjoy strolling through colorful exhibits, admire a kelp forest sway in the currents, touch tide-pool animals and may even witness a dramatic sunset over the Pacific Ocean. Visit the aquarium’s Gift Shop, as well as the Splash Cafe, featuring an array of gourmet, organic and sustainable snacks. Birch Aquarium at Scripps is situated on a spectacular site overlooking the Pacific Ocean. Your guests can explore colorful marine life while experiencing the frontiers of marine science through hands-on museum exhibits. Our beautiful venue will create lasting memories for conventions and corporations; professional, academic, and social organizations; and family occasions. 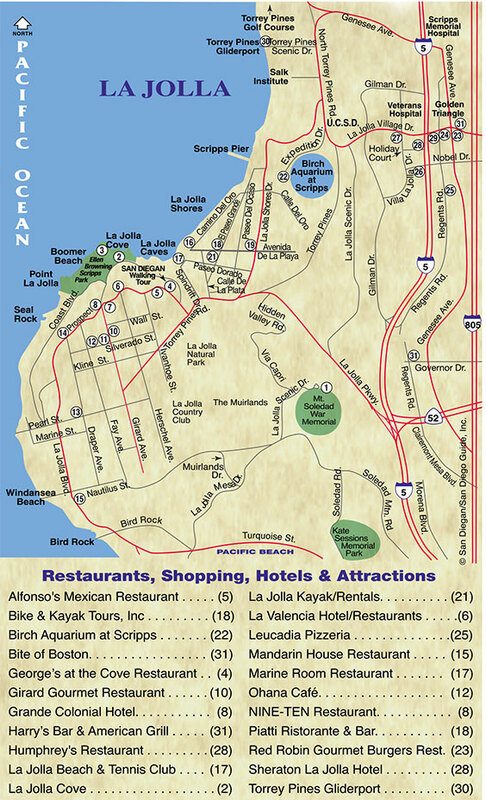 The aquarium is conveniently located near La Jolla Shores, within easy access of major freeways.